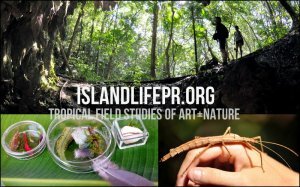 The ART+BIO Collaborative, an educational nonprofit organization, runs an art and nature travel program. Participants use hands-on observation, artistic interpretation, biological and natural history methods, and utilize the natural habitat as a studio+lab to make informed art about plants, animals, and nature. The courses are open to anyone over 18.